In the holey battle of Aussie bushlands, smelly birds get their feathers ruffled. 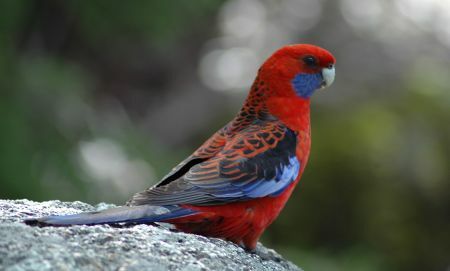 Crimson rosellas are colourful and cute parrots, native to eastern and south eastern Australia. They are also very smelly birds. “They smell like an old jumper, which has been drenched in really cheap and old perfume,” says Dr Milla Mihailova, a former doctoral student at Deakin University’s Centre for Integrative Ecology. But their musky smell is not a reminder of an overdue bath (like for some of us). 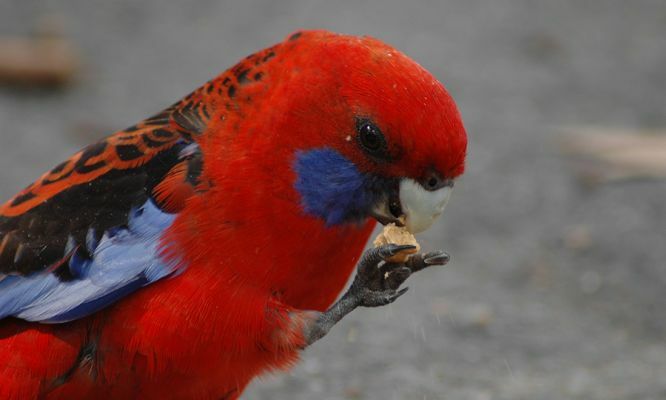 For crimson rosellas, feather odour is important for their nesting behaviour. “Feather odour influences how much time females spend at their nest. 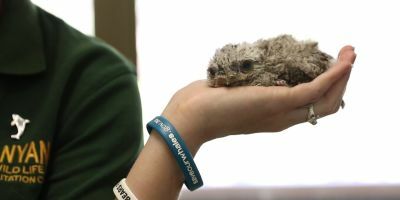 For example, if a female can smell that a male or the same subspecies has been around, she will arrive back to the nest quicker and stay at the nest for longer,” says Milla. And it is not just about nesting. For these colourful parrots, the smell of their feathers is a way of communication. They can learn all sorts of things from a sniff. Like what kind of individual was around, if it was a male or female or what subspecies or species it was. This information may even help the birds choose their mate or weigh up their competition, Milla explains. “And if that is the case, then the odour may be giving the birds clues on, say, the genetic diversity or the health of an individual,” she adds. But their smelly way of communication comes at a high cost. Some predators have figured out that their musky smell is the smell of dinner. Birds are constantly wary of their surroundings, mostly because predators are always lurking around. Likewise, predators are always on the lookout for any signs of a potential prey. A lost feather, a tweet or chirp, or anything that may guide them to a treat. In her new study, Milla found that the smell of a crimson rosella’s feathers is an important clue followed by ringtail possums. This clever possum is both a predator of crimson rosella eggs and nestlings and a competitor for their nesting holes. 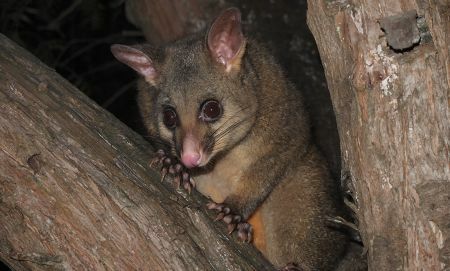 Milla’s research showed that ringtail possums could detect the smell of parrots just from sniffing a nesting site where the birds had been. 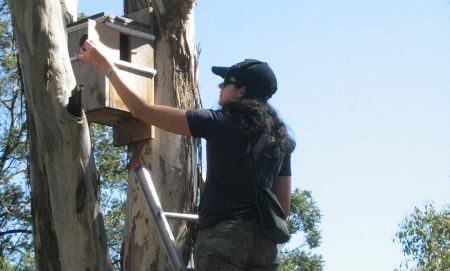 “Ringtail possums returned to nests quicker when they got a whiff of a crimson rosella from inside the nest,” Milla explains. “This suggests that the ringtails use feather odour to help detect avian prey or to adjust their vigilance at nest hollows against parrots who also want the nest,” she adds. “This is a really interesting finding. We expect an arms race between predators and prey, and here there seems to be one involving the feather odour,” says Professor Andy Bennett from the Centre for Integrative Ecology at Deakin University, who co-authored the study. This study is the first to show that the smell of feathers affects the behaviour of a wild mammal that predates on birds. The only comparable example reported before is that of a cane toad able to track down a bird’s nest by their smell. But up until now, it was not known whether wild mammals used feather odour in the same way. “It’s an exciting finding for a couple of reasons. We know that it can be very valuable to be smelly, because then you can communicate with your species without having to physically be there,” says Milla. “But now it turns out that there could be trade-offs and side effects for birds, especially if those birds are predated by mammals or have to compete with mammals,” she adds. For birds, this means that their clever strategy of using smell to communicate needs some careful planning. “Birds may need to adjust their smell, depending on the context—how dangerous the situation is compared with the benefits of sending out information to their species,” says Milla. “Natural hollows are an extremely valuable resource for a range of bird and mammal species. 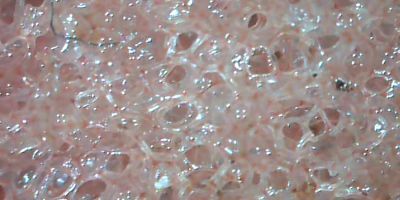 Our works shows that feather smells mediate the interactions around who gains and wins in this holey battle,” adds Andy. Molten rock pulses deep inside Earth, and WA scientists are studying it to help us to understand volcanic activity around the world. Do bugs gross you out? You haven’t seen anything yet. To get some really weird creatures, you’ve got to look in the deep sea. Eye contact between dingoes and humans reveals clues of the domestication process.